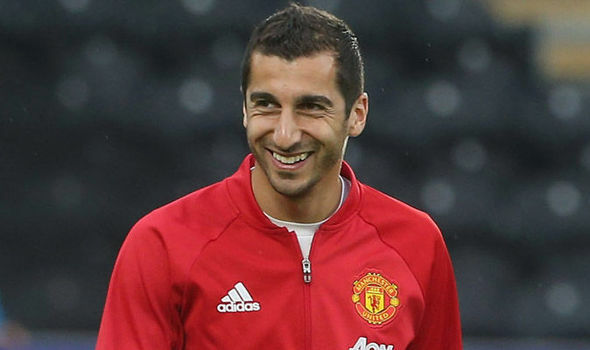 Henrikh Mkhitaryan is in London to undergo his medical with Arsenal after terms were finally agreed for his swap deal involving Alexis Sanchez, according to the Mirror. The Gunners have been working hard in recent days trying to reach an agreement with Mkhitaryan, his agent and United over the sensational swap deal that will see Sanchez head in the opposite direction. The Chilean international – who’s out of contract in June – agreed terms with United over a lucrative deal last week and has been waiting for Mkhitaryan to settle things with Arsenal. News broke late on Friday night that Sanchez had said his goodbyes to Arsenal team mates after a breakthrough was reached in negotiations and Arsene Wenger confirmed yesterday that the attacker was in Manchester to complete his move. The Mirror are one of several media outlets who claim Sanchez will undergo his medical this afternoon after Arsenal reached an agreement to sign Mkhitaryan. The Armenian international has also been spotted in London with Sky Sports reporter Bryan Swanson speaking to the player outside a hotel in the capital on Saturday night. Mkhitaryan is also set to undergo his medical with the Gunners this afternoon with the Mirror claiming that the moves will be formally announced on Monday once their work permits are ratified. There was some confusion over whether Arsenal would receive a fee as well as Mkhitaryan in exchange for Sanchez but the paper says it’s a straight swap deal and no money will change hands. So it looks like we’re coming towards the end of this saga and the two players should be unveiled by their new clubs on Monday as long as they both pass their medicals today.